Britons are afforded less face-to-face time with their GP than dozens of other developed nations, a new study has found. According to research on average consultation length across 67 countries there are 28 countries that offer longer consultations than in the UK. The analysis carried out by experts at Cambridge University finds that average appointment length in Britain is 9.22 minutes, increasing by 4.2 seconds in the past year. With such short increments, it would take almost 70 years to catch up to consultation times in Lithuania, Belgium and Portugal. Dr Richard Vautrey, chairman of the British Medical Association's GP committee, says the current 10-minute appointment slots are "inadequate". He says: "It's important that those individuals who need more time with their GP can get it and this relies on practices having the necessary resources and staff to deliver personalised care for each patient. If unexpected illness or injury strikes on holiday, it's important to have access to a GP for diagnosis and treatment. You can enjoy peace of mind when travelling abroad by taking out comprehensive worldwide travel insurance. Overall, patients in the UK see their GP for less time than patients in America, Canada, Sweden, Spain and Japan. The analysis shows that people in Sweden have the longest appointments, at 22.5 minutes, with those in Bangladesh being allowed just 48 seconds with their doctor. 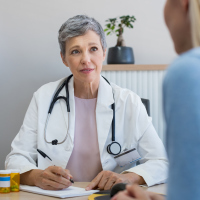 Patients in France see their family doctor for average appointments of 16 minutes, while in the United States, patients are afforded 21.07-minute consultations. Those in Belgium, Cyprus, Iceland, Lithuania, Luxembourg, Peru and Portugal currently have 15 minutes of face-to-face time with their GP. The authors of the report, say: "Such a short consultation length is likely to adversely affect patient care and the workload and stress of the consulting physician. "A lack of time in the consultation is a key constraint to delivering expert generalist care." Responding to the figures, an NHS England spokeswoman acknowledged the importance of patients having enough time with their GPs. She said: "Working with others, including the Royal College of GPs, our five-year investment plan will significantly expand the workforce, reduce unnecessary paperwork and look at new ways of working to ensure they can do just that."